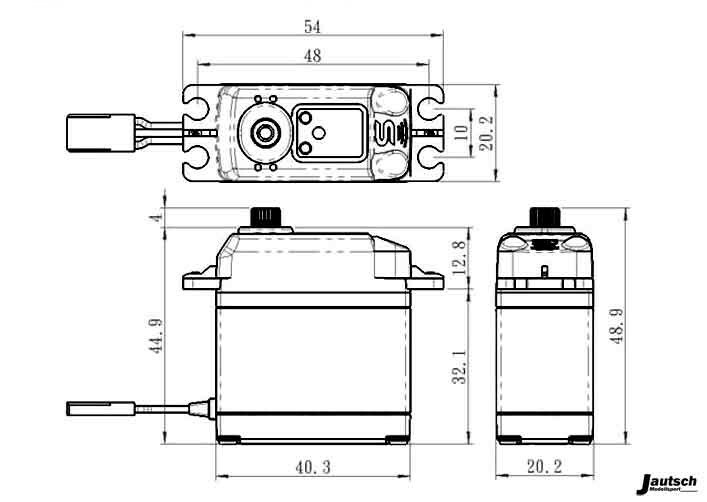 Our ZEUS supermodified servos are based on 360deg version of SAVOX 1230SG (Xmetal gearbox) servo and are manufactured for continuous rotation of the output shaft (by removing in the factory the mechanical stop from the output servo gear) offering innovative PID position / speed control, rendering appropriate solutions for most robotics applications. And don't worry we offer you also a legacy PPM interface. 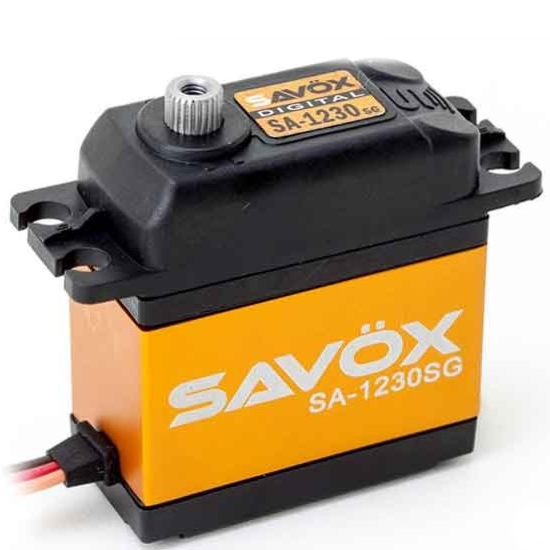 The ZEUS servos are powered by SAVOX technology. The gears and the motor of this specific servo are manufactured by SAVOX and their torque rating is 500ozin (36kgcm) @ 6V. The equipped coreless motor can operate also up to 7Volts. The stray field of the coreless motors are so strong that the GMR sensor array of infineon’s TLE 5012B of our 15bit Magenc-LowRev cannot operate reliably so we use ams ICs that are stray field immuned @ 14bit resolution. So we are offering to our customers the robust and stray field immune 14bit (16384 ticks/rev) Magenc 14bit SFI (Stray Field Immune). Based on a very sophisticated implementation of HALL effect MEMS sensors ams chip 5047D give us the opportunity to bring to the market a VERY EFFICIENT and ROBUST servo.